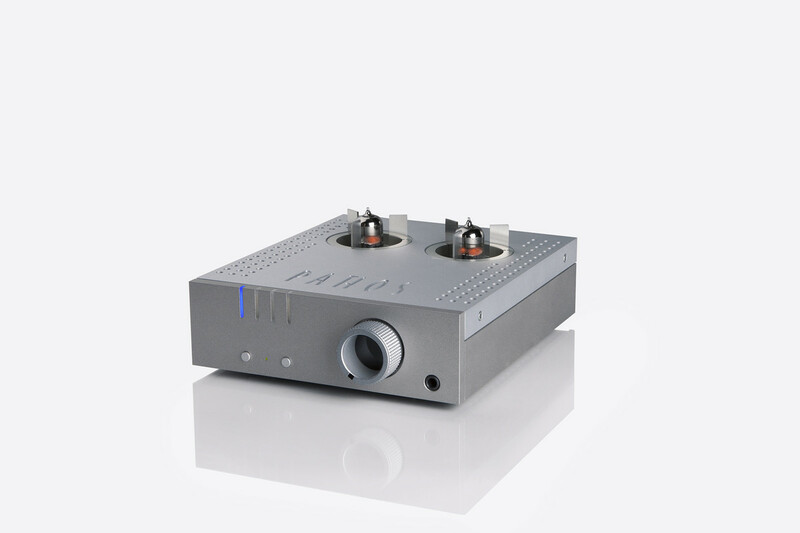 Herewith a short review of the Pathos Aurium headphone amplifier, most kindly on loan from Allan (Alleycat), one of the AVF "good guys". It's a really eye-catching example of Italian designed, Pure class A, Hybrid (tube pre stage and MOS-FET power stage), zero feedback CNC machined goodness. Two 6922 tubes rise out of the top plate like ICBMs, with sharp protective fins that initially I hated, then not so much and now I rather like them. With dimensions of 23x6x20cm (WxHxD) it is compact but not insubstantial and fitted perfectly onto my space-starved desk. A sparse front panel with no labelling and that lovely volume pot is at odds with a very busy rear panel indeed. Sporting 4 analog inputs (1 stereo balanced XLR, 3 stereo unbalanced RCA) and 2 analog outputs (1 L/R XLR and 1 L/R RCA) quaintly labeled "TAPE", there's a lot going on. A 12VDC input, a 12V trigger and two very useful knobs complete the picture. One of these knobs controls a 6dB gain and the other is a balance pot. Whilst I can live without the balance functionality, to be able to adjust gain linearly in this manner is rather useful. With both my LCD2F and HD600 I needed to set the gain on full. As mentioned, the hybrid design allows for high power output into a wide range of headphones, with the tube stage imparting just a touch of warmth to proceedings. At least that's the theory, how does it translate to reality with the Aurium? Very, very well it turns out. All listening was done using Redbook and various Hi-Res files on external WD 4TB HDD and my elderly PC. A Wireworld Ultraviolet USB cable connects PC to Resonessence Labs Concero DAC operating as USB bridge and outputting via coaxial SPDIF to my Benchmark DAC 1 USB. Bespoke balanced XLR cables (Sommer Stage 2/Neutrik connectors) carry the signal to the Aurium. Santana's Yambu in 24bit 48kHz is one of my go-to test recordings. It's incredibly detailed and complex, with 3 percussionists, two guitarists and multi tracked vocals aplenty and the Aurium immediately impresses with a bold and three-dimensional soundstage and plenty of detail into the HD600s. The sound is big and full-flavoured yet delicate in its ability to render the finest details of a plucked string or brushed cymbal. This is borne out when listening to Marillion's classic Warm Wet Circles, which has everything and the kitchen sink as it soars from Fish's quiet moan to the band in full flight, and the Aurium never hints at running out of headroom. Drums are powerfully and accurately rendered and Rothery's guitar is alternately sweet and crunchy as needed. Metallica live in concert straight from the soundboard in 24/48 should reveal how ballsy this amp really is, and I'm not disappointed. This amp was made for dynamic live recordings. Switching genres to some Lee Ritenour and Melvin Lee Davis' monster bass lines on Twist of Rit sound fat and deep and distorted, as they should. So the Aurium can do bass, no problem there at all. The term "analogue" is much overused as a descriptor, and mostly not true of the majority of solid-state gear, however this amp really does remind me of listening to vinyl sometimes. It renders textures extremely well I found, and thus is an easy amp to listen to for extended periods with little to no fatigue. I thought it a very musical performer, which for me is a rare quality indeed and the mark of well sorted gear. The longer I listened over the following few weeks the more I appreciated that the Aurium has an "iron fist in a velvet glove' personality, able to sound excellent with all genres and with most cans too. The LCD2F in particular is a great match though, really coming alive when fed lots of current, which the Aurium certainly has in abundance. Other headphones used briefly were AKG K240S which have never sounded better. The Aurium does not "get out of the way" in a "wire with gain" manner. I found it did impose its tonality to a greater or lesser degree depending on source material and headphones, but that this was certainly not a negative. Even though it does not sound overly tubey by any measure, its slight warmth does overlay things, but never to the detriment of any finer details. That said, if your tastes veer more towards a "Reference" sound the Italian marvel may not be your first choice. 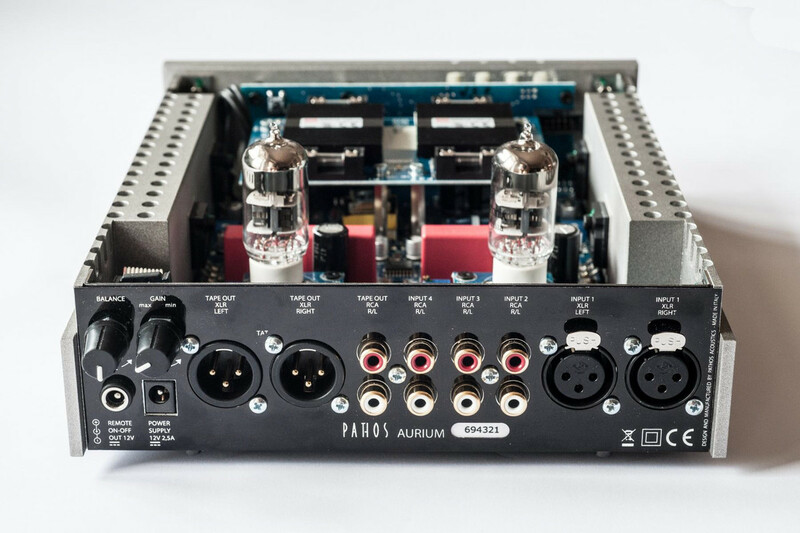 The Pathos Aurium is one of those exceptional products that simply does everything it is designed to with absolute purpose and precision - it just works, as a headphone amplifier and as the centre of a high-quality pre-amp rig as well. Good to look at, well put together, compact and technically excellent, this is an amp that ticks all the boxes for the savvy Head-Fi afficionado. A terrific enjoyable review and well written. Kudos Arie! Naughty, I bought this as a package deal with some other goodies directly from the Cape Town Pathos agent. It sells for about 850 Pounds/ USD1495, Stefan at Airmusic will be able to provide local pricing. Thanks for your positive feedback Gents! HI Guys, I am not much of a headphone user and therefore my experience is limited, but I think based on the little of what I know of the Aurium based on listening with Sennheiser 650, and 800, as well as a brief, listen on the LCD2(i think) the review by Capetownwatches is spot on. Warm, powerful without any masking of detail. Similar comments by the owners that I have sold to. In many ways just what one would expect of Pathos. Great review, looks like an interesting amp indeed.